Estimated to come out in time for Halloween. Theme: For this anthology, we want glimpses into the world of those we love to hate. Monsters, demons, murderers, etc. Are they as evil as they seem? What made them do those horrible things? What was their breaking point? Were they good once or has their heart always been black? A broader take on the fairy tale villains anthology. Any time period and sub-genre are accepted, however there must be a villain/bad guy as the focus of your story. Villains may be taken from fairy tales, mythology, folklore, monster legends, history, or entirely original. ALWAYS READ THE FULL THEMES AND GUIDELINES WHEN SUBMITTING. Due to a large number of submissions for the new anthology that fail to meet the theme and/or guidelines, we have decided to give some extra clarification for what we are looking for. This is NOT just a horror anthology about villains/evil people. Get us into the heart of the villains. Make us question if they are really that bad. Help us understand why they do what they do. Show us that underneath their actions, there is something there that could make us empathize with their plight. Go beyond the darkness and evil and help us wonder what's under the surface of those we love to hate. PIECES THAT FAIL TO MEET THE GUIDELINES/THEME WILL BE AUTOMATICALLY REJECTED. Response Time: Please allow up to one month. After that, if you don't hear from us then feel free to give us a little nudge. Payment: Payment will be one half-cent per word, with a minimum payment of $5.00 and a maximum of $15.00. Payments will be made by PayPal in USD. Payments will go out no later than four months after the publication date. Editing: Yes, your story will be edited if we decide to accept it. After we go through and edit your story, it will then be sent back to you for final approval. In some cases, we may ask for revisions to be made. Reprints, Multiple & Simultaneous Submissions: Yes. Payment for reprints is a maximum of $10. 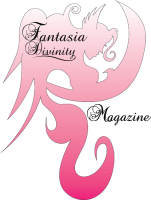 All submissions are to be sent to fantasiadivinity@gmail.com. In the subject line please type HORROR ANTHOLOGY SUBMISSION: [Your Story Title Here]. In the body of your email, please include your name and word count. If the story is under 2,000 words, please paste the text in the body of the email, otherwise please attach it. We will list all published authors on our site. Once you have a story accepted for publication, we will post a little author bio up on our site with a list of all published pieces (published by FDM). Any genre may be submitted for consideration. We are looking for fairy tale retellings featuring princesses. Whether it be Snow White, Rapunzel, or one of the lesser know princesses, we will consider them all! We will consider any sub-genre. If you want to make a Cinderella story in space, send it. Sleeping Beauty horror? Yes please. Steampunk Little Mermaid? Go ahead. Erotica Rapunzel? We're interested. Theme: For this anthology, we are looking for fantasy stories focusing on winter, snow, and ice. We will not consider urban fantasy or stories in a modern setting for this anthology. Other sub-genres are accepted. Theme: Due to the popularity of our Princess Fairy Tale Anthology, we are opening submissions for another fairy tale theme. For this anthology, we are looking for stories that focus on strong heroines. We want to see stories of damsels who save themselves instead of waiting for a man to do the job for them. We want Rapunzel to find her own way out of the tower, the little mermaid to shove that dagger into the prince's heart and win back her life, Snow White to shove that poisoned apple into the queen's face... you get the idea. All genres and styles are accepted as long as the story is based on an actual fariy tale. The fairy tale does not have to be well known; we love reading the obscure ones just as much as Snow White and Cinderella. "How did the evil queen in Snow White become evil? What troubles plague the step mother in Cinderella? Who broke the sea hag's heart in The Little Mermaid? What betrayal drove the witch to imprison Rapunzel? Stories about the villains in fairy tales -- the princesses who were never saved. Horror anthology featuring chilling ghost mysteries. With this anthology, I want you to send chills up my spine and keep me guessing at every turn. Who is the real ghost? Do they know they are dead? Do you? Who killed them? Why? What do they want? For this anthology, we will not be accepting flash pieces as it is hard to convey the atmosphere and intricate mystery story line that we are looking for in so few words. Payment: Compensation for the anthology will be one paperback print copy as well as a PDF. All authors will also get a Createspace discount code to purchase additional copies. In the subject line please type GHOST ANTHOLOGY SUBMISSION: [Your Story Title Here]. The sea is a dark and mysterious place. What lurks within the deepest caverns, unseen by those above? A haunting melody drifts across the waves, a beautiful figure floats in the shallows. Do you follow? Do you answer the sea's hypnotic call? An anthology for mermaids, sea goddesses, sirens, and other mysterious creatures of the deep. Any time period and sub-genre (including futuristic sci-fi) are accepted, however there must be a fantasy/mythological/supernatural sea maiden featured in your story. In other words, stories about being on the sea without that component, or stories about regular sea creatures will not be accepted. There needs to be a CLEAR mystical element and not just vague hints to one. Payment: Payment will be one half-cent per word, with a minimum payment of $5.00 and a maximum of $15.00. Authors will also receive a PDF copy of the anthology prior to the release. Payments will be made by PayPal in USD. Payments will go out no later than three months after the publication date. In the subject line please type ANTHOLOGY SUBMISSION: [Your Story Title Here]. Theme: Norse mythology, although not as popular as Greek and Roman, has a fascinating take on the universe and a pantheon of amazing gods and goddesses. Although there are many stories that have survived the ages, there are several tales that were lost. For this anthology, we are looking for stories about Norse goddesses that were mostly lost. There are many goddesses, mentioned in other stories, that very little is known. Who are these barely mentioned goddesses? What is their background, their origin? We want you to tell us the stories that history did not. Estimated to come out in December. Theme: Creatures of myth and fantasy have long been a fascination in cultures throughout the the world. Did they ever exist? Do they still exist now? Imagine a time where these creatures were plentiful. Or perhaps, when they once were but now there is only one or two left. We are looking for stories centered on such creatures, be they unicorns, dragons, griffins, chimeras, or something unknown. We will consider any sub-genre, but the story must focus on a mythical creature. Theme: Cancer is a terrible disease, one that I have been very personally affected by. It has robbed me of many loved ones, and now I am fighting back. For this anthology, we are asking you to fight back with us to help rid the world of this monster. We are looking for stories that helps embody this fight, whether the "cancer" in your story is a disease or a real demon or monster, we want you and your characters to take it down and fight it with all your might to help save your loved ones, or even yourself. Stories can focus on the battle against an unseen foe, or a physical enemy. Your characters can be fighting to save a loved one currently suffering or in danger, or can be a fight to avenge them or even to return them from death. The fight doesn't have to be an epic fantasy battle, but on more human terms as well, such as a fight for a treatment. Word Count: 500-10,500 (If over this, please ask before submitting). Theme: For this anthology, we want stories based on tales from Greek myth. They can be inspired by stories of the gods or goddesses or of the great heroes. The stories can be imaginative retellings or an entirely new story featuring the gods or other characters from the myths. Theme: Spring is a time for growth and rebirth. Beauty is everywhere as the world awakens and comes back to life. We are looking for stories that capture the essence of this beautiful time. What makes the flowers bloom? Why does love permeate the air? Be it nymphs, fairies, gods or goddesses, or even something far more sinister, we want to know. Stories must be fantasy and centered around springtime, either the season itself, holidays/festivals in the season, or various aspects of it. Theme: Many fairy tales have some kind of transformation in it, be it physical or emotional. A peasant turns into a princess, a frog a prince, an old hag a beautiful enchantress, or vice versa. Maybe a once selfish princess learns a hard lesson and transforms into a queen to be proud of, or a naive girl has to grow up much too quickly. These are the stories we are looking for. We want to see stories focus on a character's transformation, whatever it may be. The transformation must take place to either the main character or someone very close to them that appears throughout the entire story. Submissions with a minor character transformation will not be accepted, we want this to be the focus. You may give a brief explanation of your character's transformation in your submission email (especially in cases of emotional transformations), but we would like it to be pretty self-evident. Theme: For this anthology, we are wanting you to tell us a story about a mystery, be it a murder, a theft, or something else all together. However, we aren't just looking for normal detectives, we want a fantasy element! The detective doesn't have to necessarily have powers, but we want the story to take place in a fantasy setting. Use your imaginations and run with it! The possibilities are endless for this mystery/fantasy genre mash up! We will consider any sub-genre, but the story must involve solving a mystery in a fantasy setting. Theme: There are many different kinds of dolls, porcelain, ball joints, voodoo, toys. They have been around for hundreds of years and many legends have been created around them. Some people are fascinated with them, some obsessed, some have a mild distrust, and others have a paralyzing fear. What lurks behind those lifeless eyes? What is hidden in that painted smile? The carefully carved and crafted faces? The painstakingly sewn dresses? People throw their heart, souls, blood, and tears into making these dolls, each a piece of art. It is said when an artist makes something, they leave a piece of themselves in the art. We want to hear these stories. We will consider any sub-genre, but the story must involve a doll that is haunted or cursed in some way. It can be the origin of how it became cursed or of what happens to it once it falls into the hands of an unsuspecting owner or collector. Theme: Gardens are known to be both beautiful and peaceful. Here, we are wanting a twist, enchanted gardens. The garden must be prominently featured and be enchanted/magical/cursed in some way. Are the flowers made of crystals and jewels? Does whoever enters never want to leave? Do the flowers bloom right before your eyes? We want to know what you think! Theme: To continue our collection of mythology anthologies, we next present to you Japanese. Japan is a culture with a long history. Although the religions have changed over the years, like many others, it first started with grand tales of gods and goddesses. These deities were very important and the tales of some still exist today and are retold. It is said, that the emperors were descended from the sun goddess, Amaterasu, the most well known, however there are stories of many others including her father and brother. Which god or goddess will you choose?